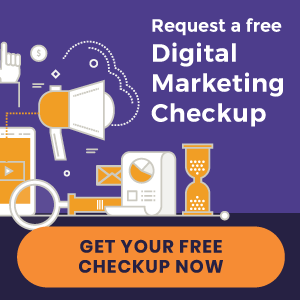 Before embracing the power of chiropractic, Dr. Rick Calcara had been pondering the same nagging question: “Isn’t it normal to have neck & back pain all the time?” Suffering from frequent, and often unbearable, episodes of back and neck discomfort, Dr. Calcara’s wife finally convinced him to see a chiropractor. The experience made such a drastic change in his life that it completely altered his career path. Starting out specifically in pain relief, Dr. Calcara now specializes in prenatal and pediatric chiropractic care, serving people throughout the Olympia, WA community. His specialty stems from a passion to help women experience a comfortable pregnancy while offering a healthy beginning to their children’s lives. After an initial content interview with our professional writers, we learned about the philosophy behind the Calcara Family Chiropractic team. That is to follow the Golden Rule: “We treat people the way we want to be treated – with compassion, love, integrity & respect.” Each and every team member’s goal is to empower individuals to live healthy lives through impactful chiropractic care in a comfortable, nurturing environment. 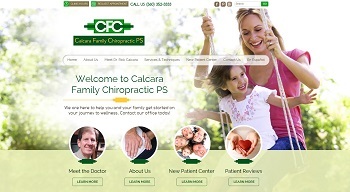 With the launch of the new Calcara Family Chiropractic website, we are excited to see their practice growth in the months to come!